For thousands of years Ganoderma lucidum (Reishi) and Morinda Citrifolia (Noni) have been used to help maintain optimal health and longevity. 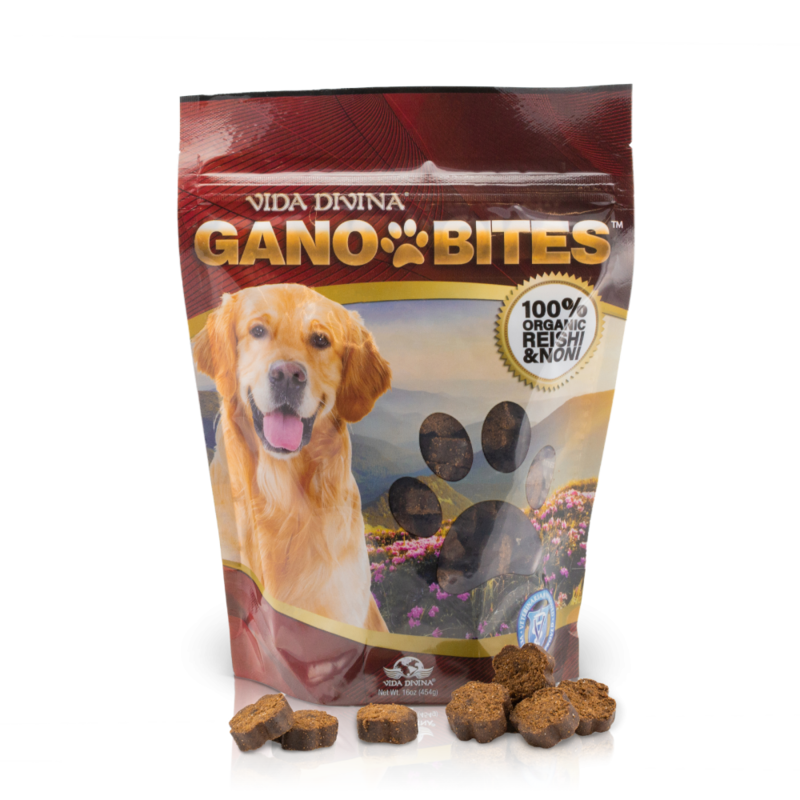 Now your pets can experience the same benefits with Gano Bites. It will also help your pet adapt to adverse conditions, including stressful and high anxiety situations such as going to the Vet. Additionally, our scientific formulation includes Hyaluronic Acid (HA) which plays an important role in the maintenance and construction of healthy joints, tendons, ligaments, synovial fluid, healthy skin, coat, and eyes. Our specialized processing approach assures that the essential ingredients found in each Gano Bite will pass on their maximum health benefit to your best friend. Caution: Not for use with pregnant animals or animals intended for breeding. Stop use if your pet becomes sick or ill. If your pet's condition worsens or does not improve, stop product administration and consult your veterinarian.